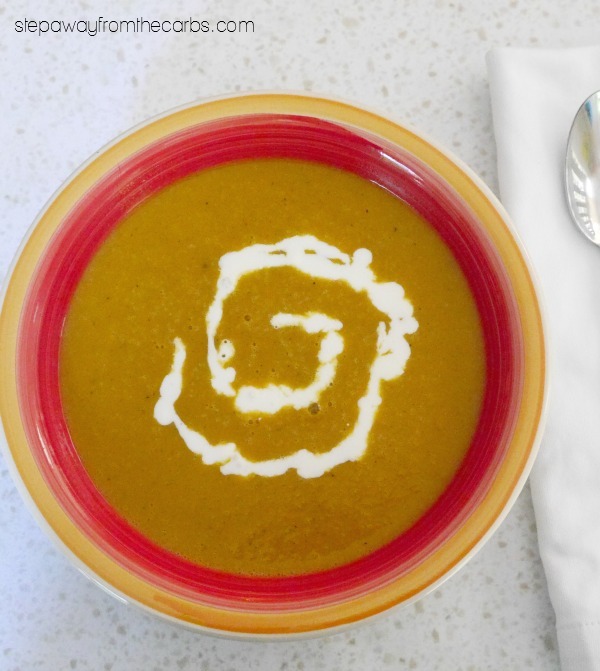 This butternut squash soup is rich with Indian flavors such as garam masala, turmeric and cumin. 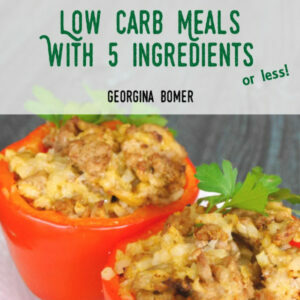 Low carb and dairy free recipe. 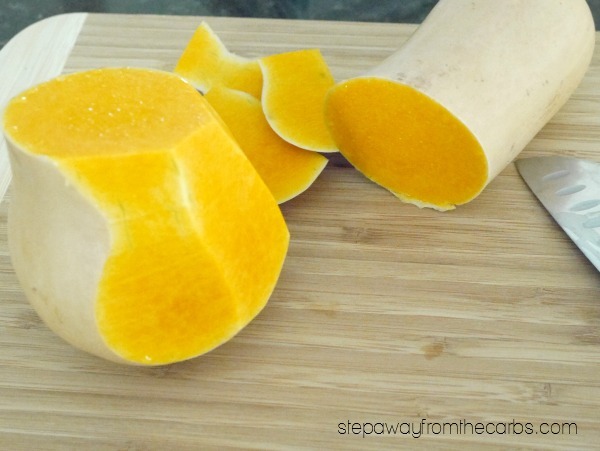 Butternut squash isn’t super low in carbs, but it is much lower than potato and it makes the same kind of filling qualities with much more flavor! It is a good source of fiber, vitamin C, potassium, vitamin A and vitamin E.
Add some oil to a large saucepan and sauté some garam masala for a few minutes until fragrant. Add some chopped onion and cook until softened. Meanwhile, prepare the butternut squash. I usually deal with it in two halves – the tube part and the ball part. Cut off the peel, remove the seeds, and chop. Add the squash to the pan together with some coconut milk, chicken stock, turmeric and ground cumin. Bring to the boil, then reduce to a simmer, cover, and cook until the squash is tender. Carefully pour it into a blender – watch out for hot splashes!! Blend until smooth. Taste for seasoning and add salt and pepper if required. Blend again then serve. 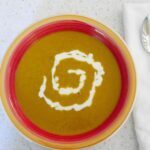 I like to swirl a little soured cream into the soup! Update: you could serve a low carb naan bread alongside this tasty soup! Yum! Heat the oil in a large saucepan and saute the garam masala until fragrant. Add the onion and saute until softened. Add the squash, stock, coconut milk, turmeric and cumin. Bring to the boil, then reduce to a simmer, cover, and cook until the squash is soft. 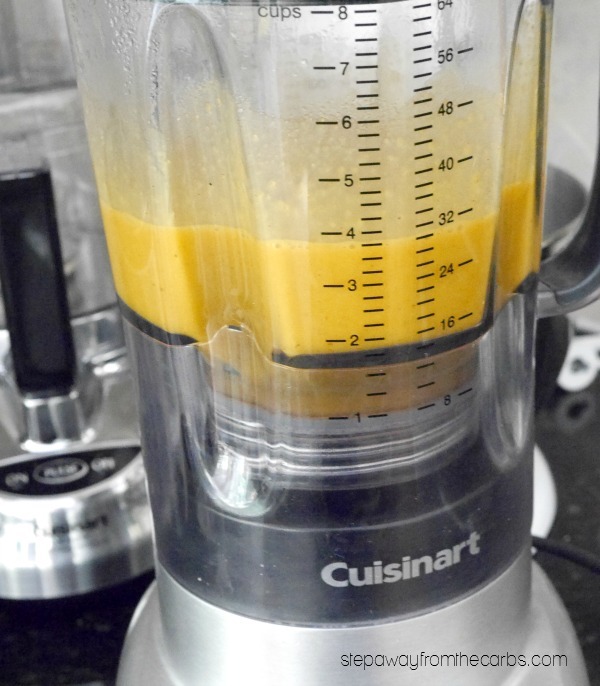 Carefully pour the soup into a blender and blend until smooth. Taste for seasoning and add salt and pepper if desired, blend again. Serve in small bowls garnished with a swirl of soured cream, if desired. 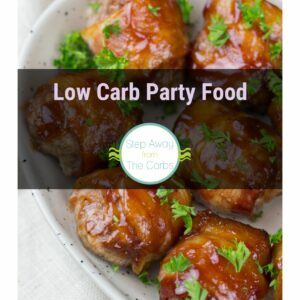 11g net carbs per serving. This was really yummy! Thanks for the recipe.